Las Vegas (CNN Business) The largest technology show in the world has a large amount of mediocre gadgets and a small handful of gems. 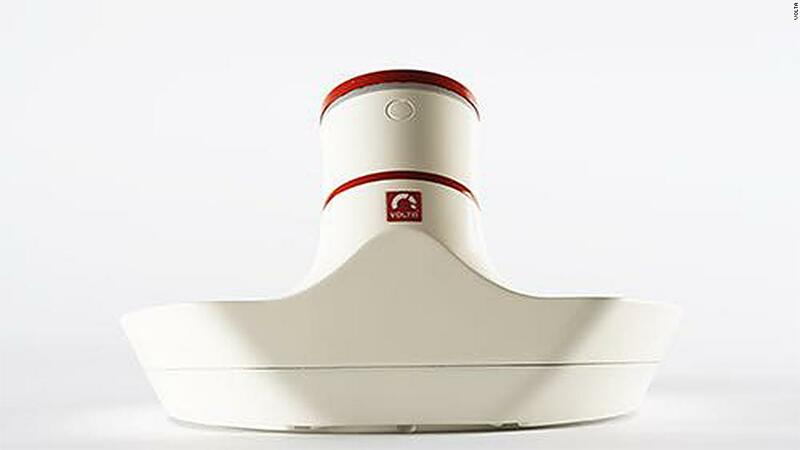 Many of the companies showed similar innovations, such as the multiple smart-home security cameras and various fuzzy robots for children who have tired of their human playmates. There were funny but forgettable entries, such as a water bottle with a Bluetooth speaker, and a refrigerator that detects when you are out of beer and orders more. The event showcased a few interesting ideas, but not all will make it to market. The highlight of the event was yummy, fresh bread baked on the spot by the Breadbot — a carb vending machine. 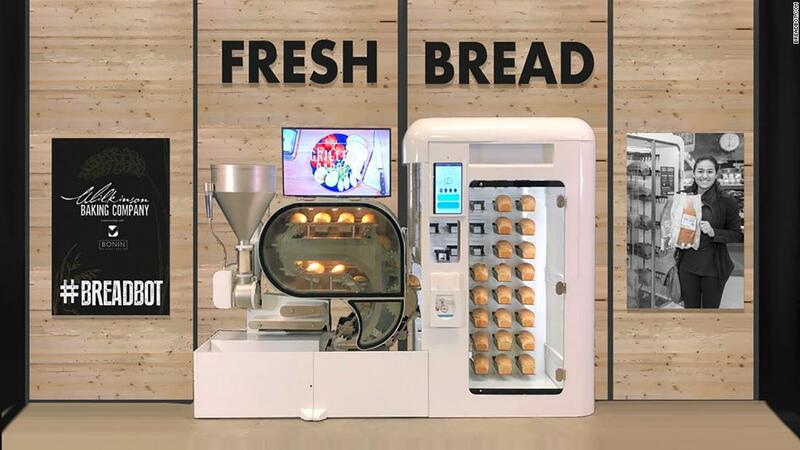 The automated device starts with dry ingredients and bakes several different types of bread, including white, whole wheat, nine grain, sourdough and honey oat. It bakes 10 loaves an hour and mixes, forms, proofs and cooks them all on its own, without a human. The bread requires fewer preservatives since it’s made on the spot, according The Wilkinson Baking Company. Mobile breast pumps made a splash at CES two years ago, and now multiple companies are hopping on the trend. 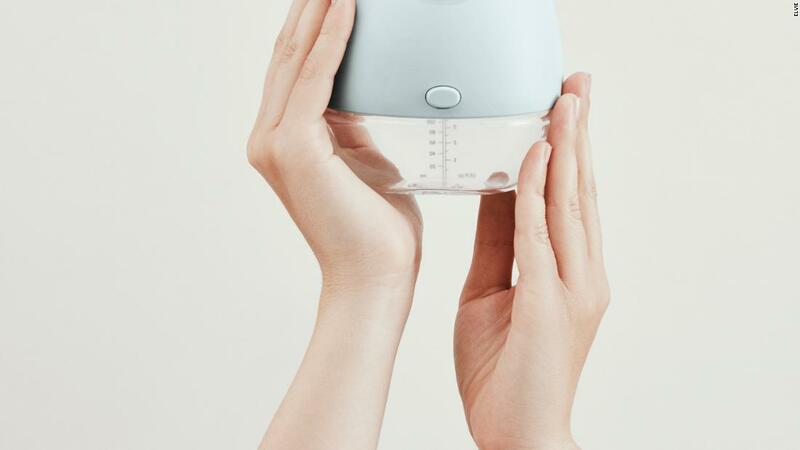 Willow is back with a slightly updated version of its hands-free, cordless breast pump. British company Elvie is coming out with a similar looking device that can also be worn in a bra under normal clothes and operates with minimal sound so moms can go about their normal jobs and routines. The Elvie is already available in the United Kingdom and will start shipping in the United States in February. Not to be outdone, yet another hands-free breast pump device will make its debut at CES with a … unique event. Imalac will have two women using its Nurture devices to pump milk live on the show floor, which it claims is a first for CES. Nurture is not a stand-alone pump, but a massage system that works with a standard pump to increase milk output. Several products claimed they could help users cut down on screen time to live happier lives. Mui is a $600 piece of wood. It is also a touchscreen display with Google Assistant voice controls that is meant to be a more natural interface than a regular screen. It allows users to check the news and weather and send and receive messages by showing lit white text on the wooden slat. The Japanese company behind Mui says the technology blends into your home, for a calmer environment. Similarly, Seraphin is a docking device that turns your mobile phone into a smart light bulb. It wakes users with a simulation of natural light, instead of the harsh blare of the smartphone screen. Several companies also showcased connected and battery-powered eye masks meant to improve sleep. While most of the innovations were designed for humans, fur-babies weren’t overlooked. Volta, an Italian company, has a product called Mookkie that recognizes each pet’s face and then dispenses the appropriate food. This is particularly useful for households with different types of animals like a dog and a cat or animals with different dietary needs. It will cost about $189 when it is released in the United States in September. It will also monitor food intake and alert pet owners when kitty needs a refill. The product is part of a growing trend of training AI to recognize animal faces. Anki, a consumer robotics company, recently launched a robot called Vector that is learning individual cat faces. The week is just getting started, so expect even more innovations that are fun, revolutionary and questionable.